PLYMOUTH Leander’s European and Commonwealth Games 50m freestyle champion Ben Proud missed out on a World Short Course Championship medal on Friday after he was disqualified in the final. Proud looked to have won the bronze medal behind Russia’s Vlad Morozov and USA’s Caeleb Dressel in Hangzhou, China, but he was disqualified afterwards for what was deemed a false start. 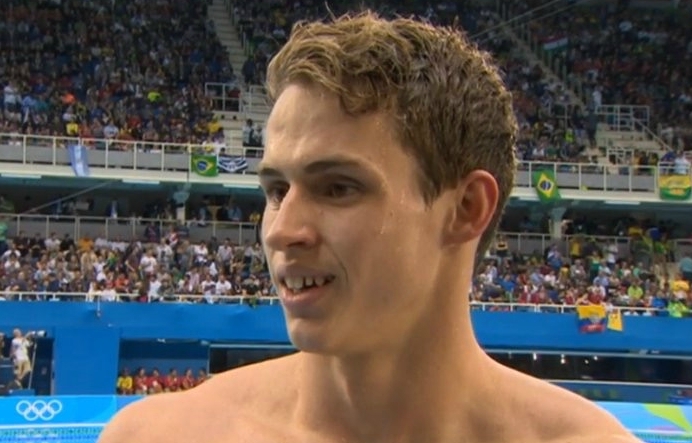 Although his official reaction time was given as 0.61 seconds, which was the same as Australia’s Cameron McEvoy and slower than South Africa’s Trady Bradley, the judges decided he had moved slightly before the buzzer. It is the second occasion this year Proud has been disqualified for the same offence. He was also ejected from the Commonwealth Games 50m butterfly competition in Australia in April. Afterwards, a disappointed Proud said: “I twitched on the racing block, something I’ve done before and something I’m not too happy with about myself. Morozov, under pressure from Dressel and Proud, did come close to the world record in China. He clocked a world-leading 20.33 seconds, which is just 0.07 seconds off Florent Manoudou’s all-time best set in 2014.